Michael Reardon, the enigmatic blond-locked solo-climber, was tragically swept away to sea after down-climbing a 180 m sea cliff off of the coast of Ireland. He was posing for a photo at the base, when a large wave hit him, knocking him off balance. Coast-guard and rescue teams were unable to find his body. 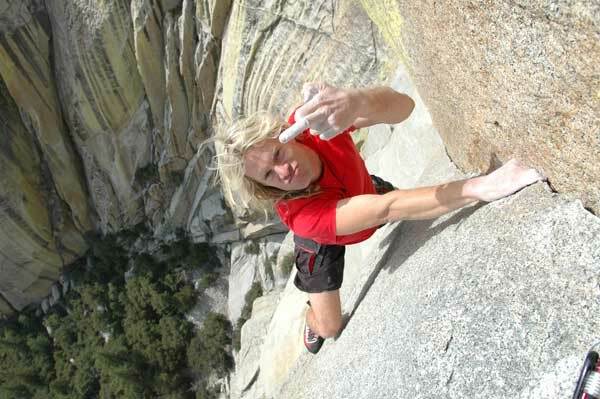 I first learned of Reardon and his amazing solo climbing exploits after watching his film “No Strings Attached”. Here’s a guy who regularly solos up to 3 km worth of routes in a day, at grades up to 5.13c, and on-sighting up to 5.13a. I’ll never forget the footage of him plummeting 10 m off of some climb because of a broken hold (he walked away with a broken ankle); nor will I forget his flashy demeanor which is somewhat atypical in the world of climbing. I’m hesitant to call Reardon a builderer, as it’s obvious his passion is soloing rock faces, however his buildering exploits are well documented. Reading his blog posts, you can’t help but notice his “climb anything” attitude and energy. 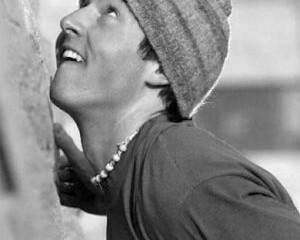 Reardon would certainly fit in amongst the buildering camp a la Alain Robert, solely based on his controversial position within the climbing community. Both possess the bradaggio and marketing sense to appear “larger than life”, or in climber-speak: to be known outside the exclusive granola-eating climber community. In a community where Peter Croft, the epitome of humility, is the model for all soloists to aspire to, Reardon and Robert are a poor fit. However, my guess is that Readon, like Robert, simply learned that to make a living at climbing you have to make yourself appealing to the mainstream media. To quote Alain: “climbing magazines pay peanuts”. And just like a guy who wears leather pants and struts around like Mick Jagger, I’m sure that if I had the opportunity to have met Reardon, I would have been just as shocked to learn that here was a normal, humble guy, who happened to be blessed with the ability and confidence to be the baddest damn climber around.